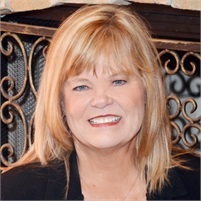 Linda Clure-Mills has worked for Mike Cunningham since 2011 to help our clients understand and select their options when it comes to the Medicare programs. Linda retired from the Oklahoma Insurance Department in 2009 where she had been responsible for the education of those working with Medicare beneficiaries and those individuals approaching Medicare age, as well as, those State agencies involved in the Medicare program. That association with the State lasted 11+ years with 8 years before that devoted to a geriatric medical group.